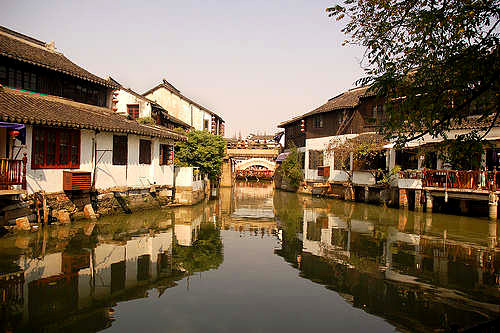 Nestled just an hour away from Shanghai, Zhujiajiao is regarded as Shanghai’s Venice. 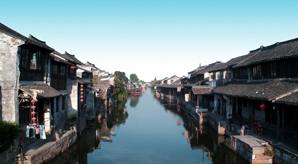 With us, you will appreciate the beauty of a cozy, ancient water town. 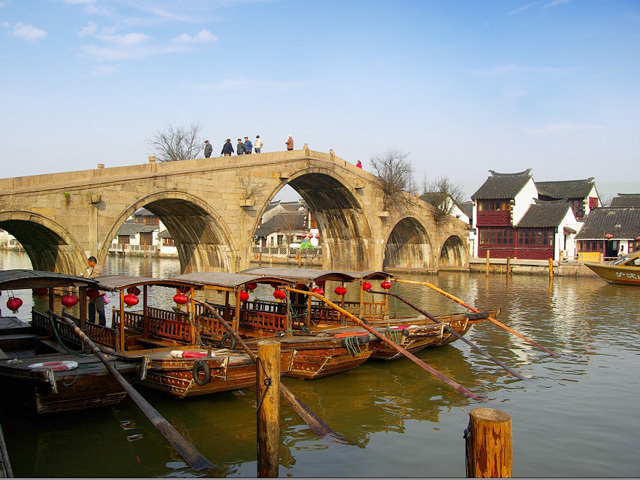 It features winding canals, stone bridges, secluded cobblestone alleyways and several buildings from the Ming and Qing dynasties. Let us lose some time in this tranquil heaven to chase the peace of our minds. Appreciate the beauty of the Venice of Shanghai, within an hour's away from Shanghai. Inspiring travel idea for 72 Hour Visa-free Stay Passengers of Shanghai. In the morning, you will meet our tourist guide at an appointed place. Later we will drive about 1 hour to Zhujiajiao Water Town. 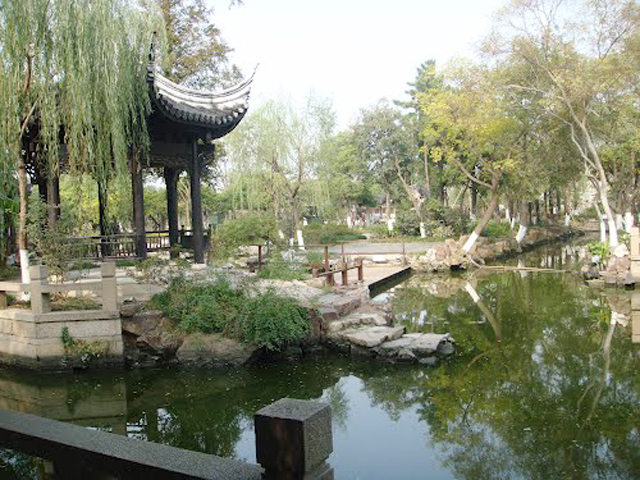 We will hit all nine scenic spots in Zhujiajiao one by one, including Y-Art Gallery, Tongtianhe Medicine Shop, Qing Dynasty Post Office, City God Temple, Shanghai Handwork Exhibition Hall, Imperial Academy Stele Museum, Shanghai Quanhua Art Hall, Yuanjin Meditation Room and Kezhi Garden. You will entirely enter an ancient world filled with old Chinese Ming and Qing style buildings, and be impressed by many interesting stories behind them. Also we will take a sharing boat to cruise along the winding waterways to see picturesque sceneries of banks. The lunch and dinner are open to you, a good recommendation is to try a local restaurant or street snacks. Please note that any fees for activities and food are at your own expense. At dusk, we will drive you back to Shanghai downtown. 1. Kezhi Garden: a large manorial garden home to one of the town’s tallest structures – a diametric pavilion called the Moon View Pavilion. 2. Fangsheng Bridge (Setting-Fish-Free Bridge), where you can experience a curious tradition of purchasing live fish from street vendors and then releasing them into the water for good luck. - Meals and other cost for additional activities; - Tips for tour guides and drivers. We just got back home from our Asia trip, and I just wanted to complement your agency for outstanding service! Tina was an exceptional guide, we appreciated her help and professionalism. Please pass on my compliments regarding Tina - she was a highlight of our month-long vacation - very knowledgeable, friendly and exactly on time.